Believe it or not, those cardboard tubes can find new life around your homestead. Before you toss them, consider these five ways to reuse toilet paper and paper towel rolls. Everybody poops. 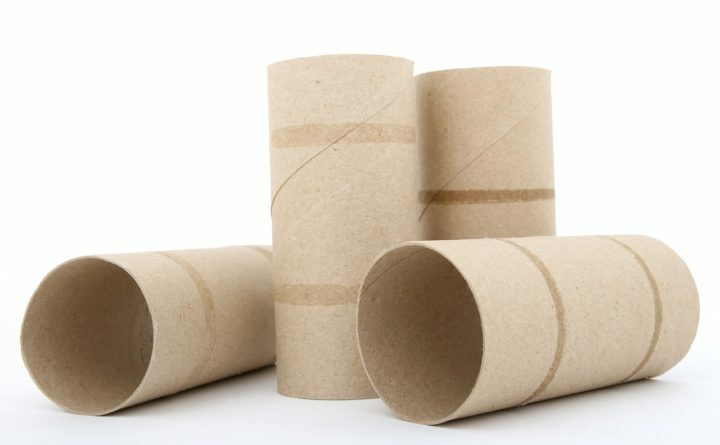 Unless you have cardboard-less toilet paper (and paper towels, for that matter), then you probably also have a bunch of round cardboard toilet paper languishing in your recycling bin. You can cut down on trash and cost by making your seed-starting pots out of toilet paper rolls. Simply cut the rolls in half, fold them on the bottom, fill them with soil and seeds and place them in a waterproof container near a window with lots of sunlight. Best of all, you can easily write what you are growing in each one on the cardboard surface so you do not forget. This post from blogger Preparedness Mama will show you how and tell you which seeds are best for these DIY pots. Toilet paper rolls can also be used to fight cutworms, moth larvae that feed on young plants from below the soil, without chemicals. Create a simple collar out of a cut toilet paper roll and tuck them around the base of your seedlings. The Spruce has a handy how-to on using the repurposed cardboard will keep cutworms from munching on your tender young plants. Did you know that cardboard is compostable? According to Gardening Know How, it is best to break down cardboard into smaller pieces so it can easily decompose. If you do not have a shredder on-hand, simply tear toilet paper and paper towel rolls up into small pieces and toss them in to add more brown, nitrogen-rich materials to your compost pile. This fun craft will is entertaining for kids and adults alike — and, best of all, it will attract songbirds to your yard. Coat a toilet paper roll in peanut butter, roll it in birdseed and voila — you have a low-cost bird feeder. Check out this DIY from Practically Functional for more info. Fire starters make the often challenging task of getting your roaring fire going just a little bit simpler. Believe it or not, a toilet paper roll stuffed with dryer lint makes an efficient — and practically free — fire starter. Sadie Seasongood uses wax paper to tidily wrap the flammable aid up for easy use. How are you repurposing your leftover toilet paper rolls and paper towel rolls around your homestead? Share your creative uses in the comments below.